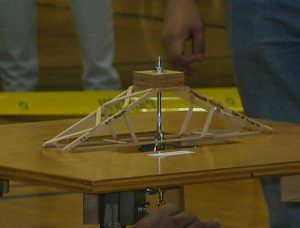 Here is the Science Olympiad bridge J.C. Booth built for the Georgia State Tournament in 2005. I don’t remember exactly what place it got, but am pretty sure in placed in the top 3. 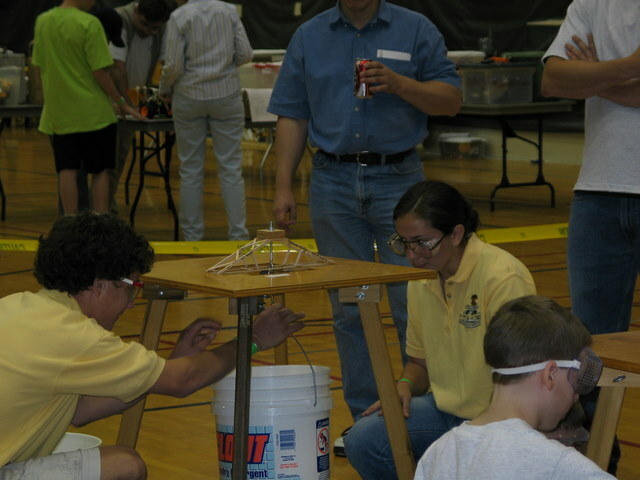 This bridges uses the typical design for that year, with slight modifications. 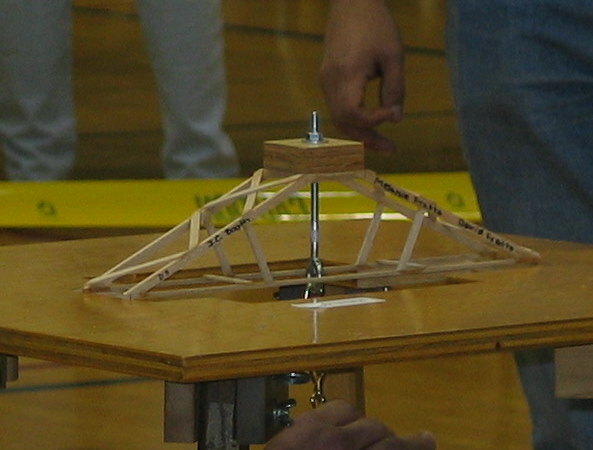 Most of the bridges similar to this design did not have the additional diagonal bracing from the top to the bottom chords. I think this basic design is a good example of trying to figure out a problem without boxing yourself into thinking of only typical bridge designs. This design takes what you have to do and does it very simply. Most of the time, simple is better. What type of wood was used? How much did it weigh? How much did it hold? Is this applicable for the 2015 competition? I don’t know the rules for the 2015 competition, but you can probably take the principles and apply them to this year. if i had the additional bracing would it have worked better. Cool Bridge but the rule have changed so much!!!! now we have to be able to fit a block under the bridge ( it can’t be flat on the bottom). 37 queries in 0.504 seconds.